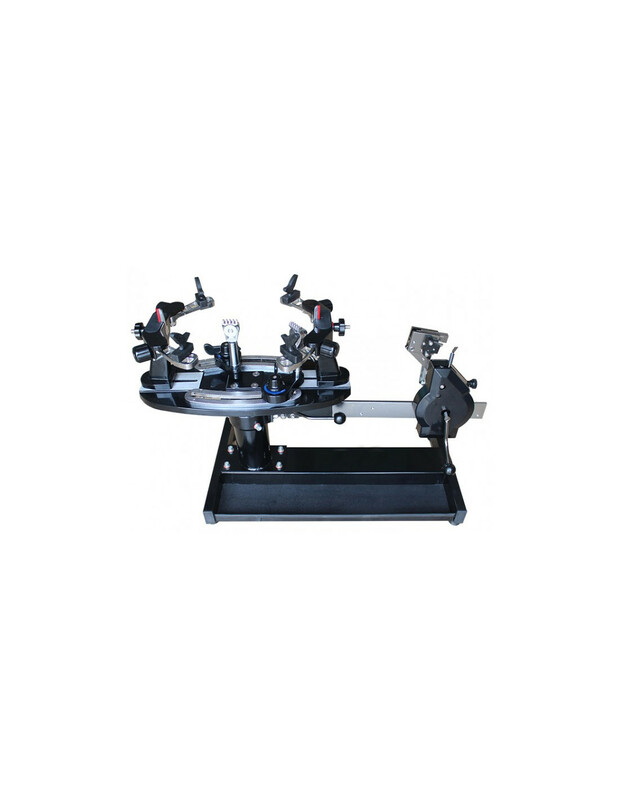 Manual stringing machine. Lineal grip. The most comfortable manual machine in the market. Fixing brake disc, fast mechanism and adjustable bearings. 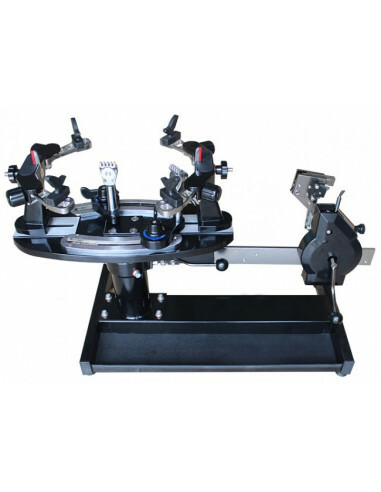 Crank system to stress accurately, quickly and comfortably. Crank to fit right or left. Excludes toolkit or tensiometro recommended for stringing properly (selling accessories) .